I've been wearing more makeup as of late--the introduction of broodier seasons makes for a good excuse for a broodier face. My previous makeup routine consisted of only foundation, powder, brow gel, liquid eyeliner, and lip balm. I've been shaking things up and adding blush, eyeshadow, lipstick, and a bit of contouring in the mix! Everything I'm using in this look is from Model Launcher, which is an especially cool makeup brand. 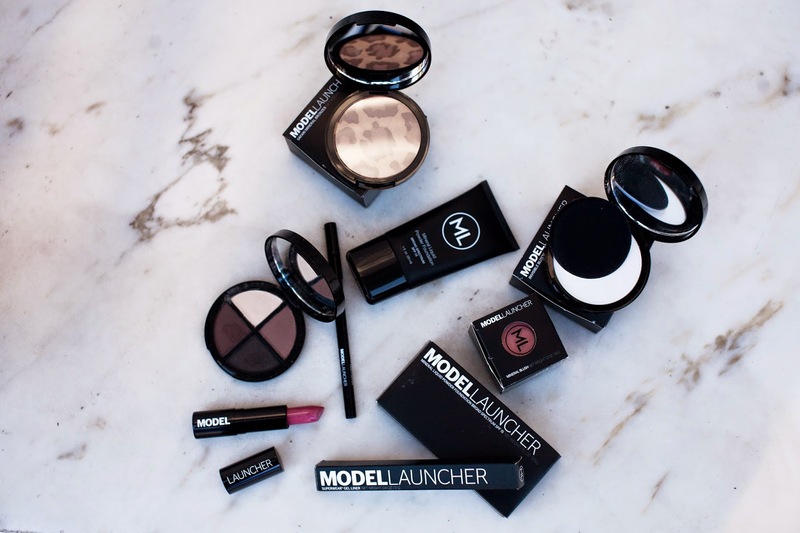 Their products not only make you look and feel like a model, they also extend to their customers the invitation to have a full-on model experience, complete with the opportunity to represent the brand in fashion, film, and music videos, a trip to Miami, New York, or London, and a professional photoshoot. How cool is that?! You can find more info + sign up to be a model here. If you're like me and you just want to look like a model, take a peek at the products I used below. Smize on, my friends. 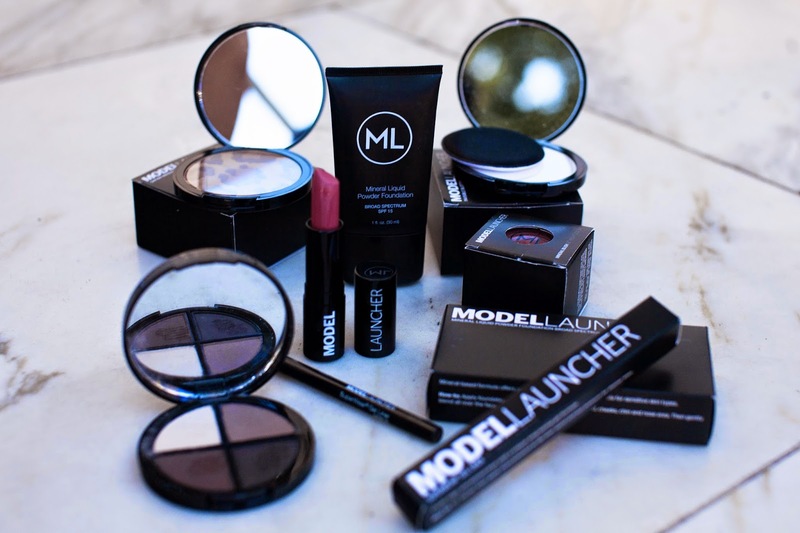 Model Launcher mineral liquid powder foundation. Model Launcher invisible blotting powder. Model Launcher mineral blush in Coral Sun. Model Launcher safari mineral bronzer. 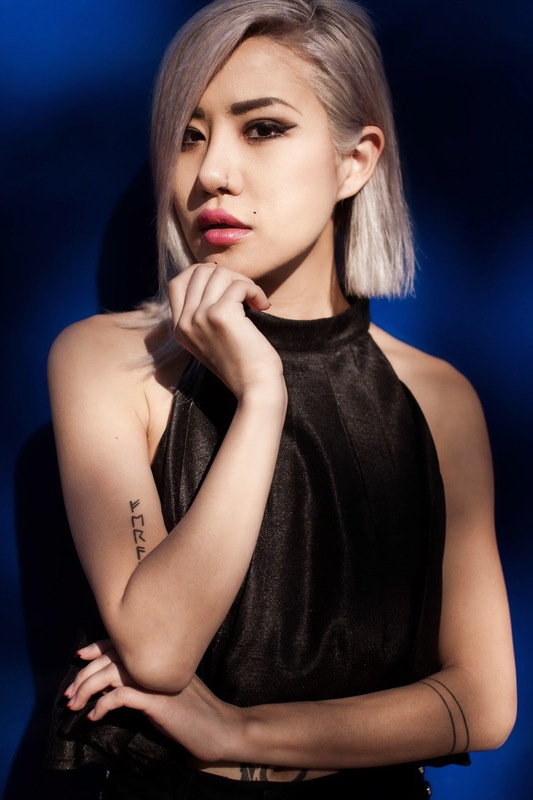 Model Launcher superwear gel liner in Noir. Model Launcher signature eyeshadow quad in Naturalist. Model Launcher fashion forward lipstick in Charming. Effortless beauty. Your hair looks awesome like this, and I love that pretty pink lip color.